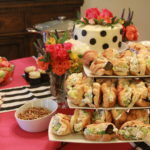 At the beginning of April, I had the opportunity to help a few special ladies shower a close friend. 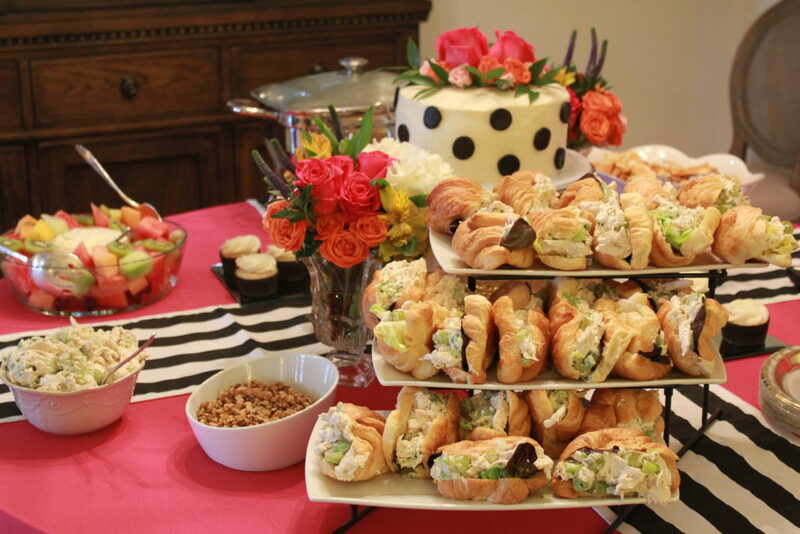 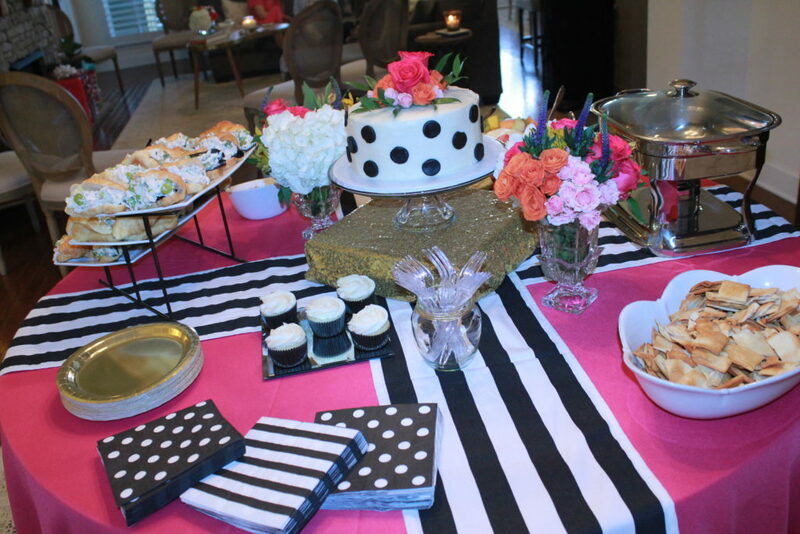 This friend is a Kate Spade fanatic, so the choice was easy...a Kate Spade-inspired party. 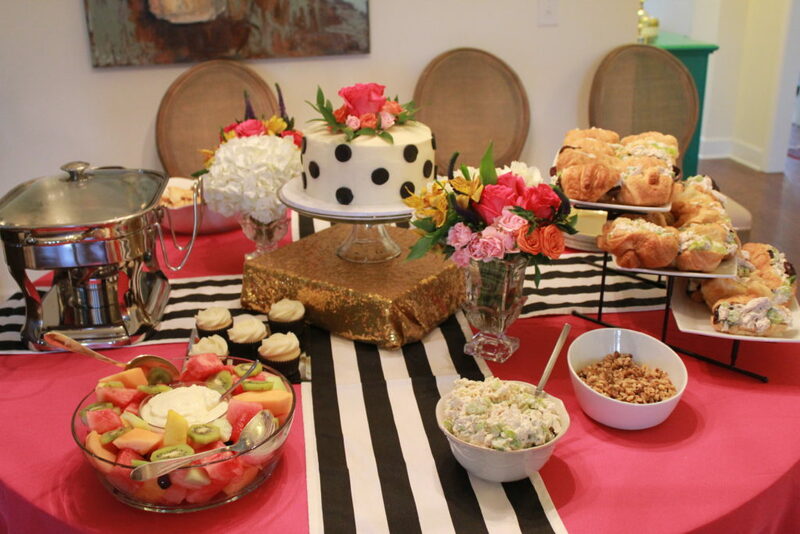 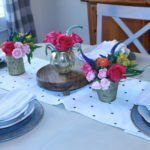 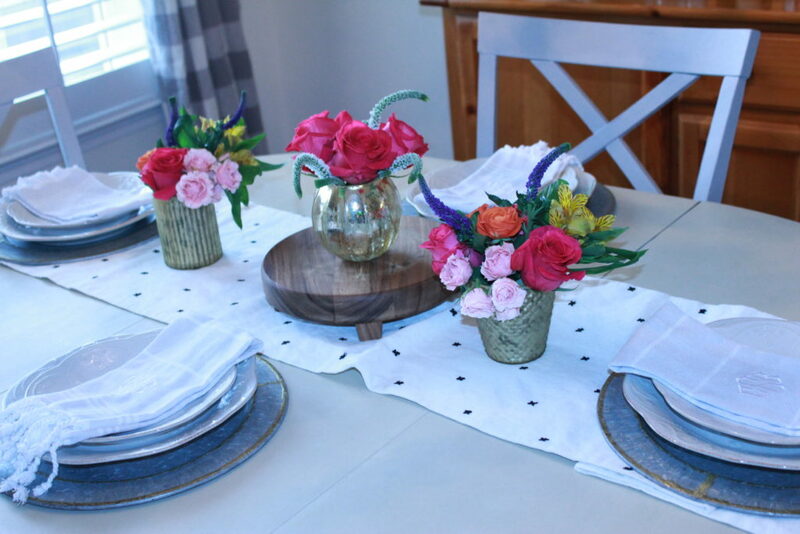 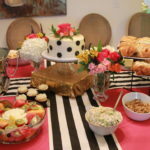 True confession: Well before we had even set a date for her shower, I had actually purchased black and white striped table runners in hope of doing a Kate Spade- inspired event for Caroline. 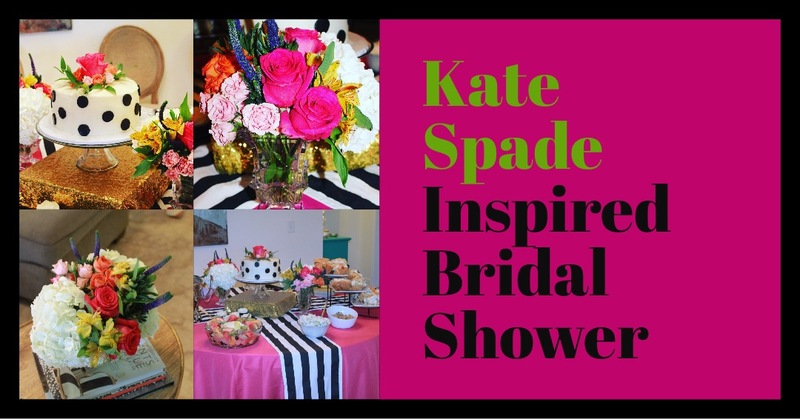 I wanted the color scheme to be bright, happy, and fun; just like the bride-to-be’s personality. 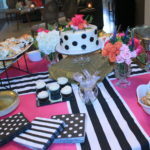 I also wanted to tie in some gold with the classic black and white stripe that Kate Spade is known for. 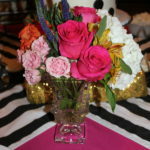 With the hot pink tablecloth as the background, the gold, black, and white really “popped”. 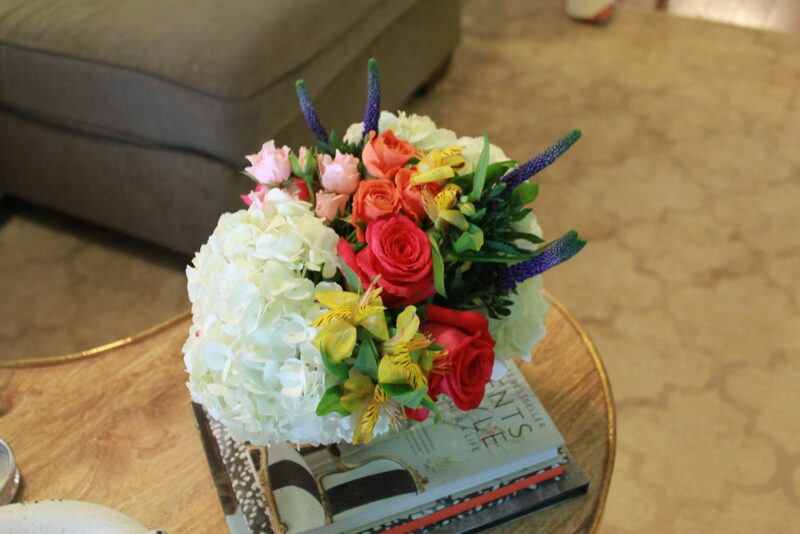 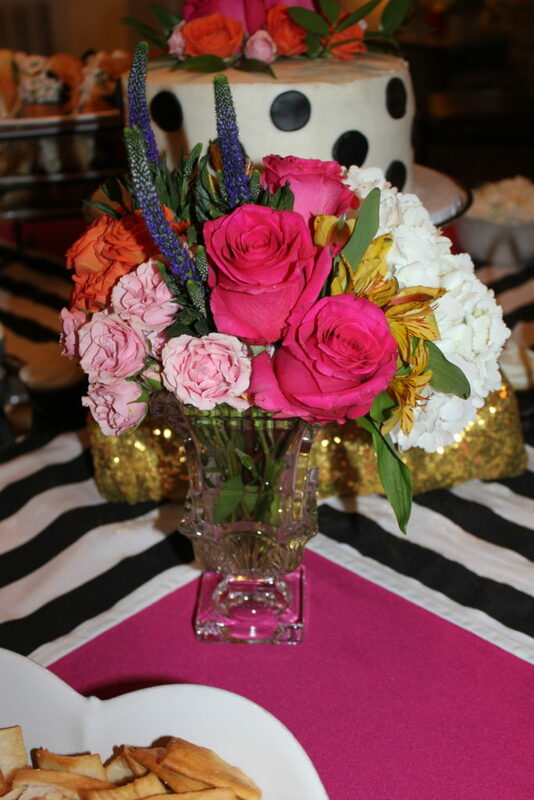 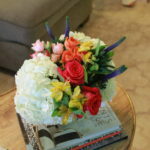 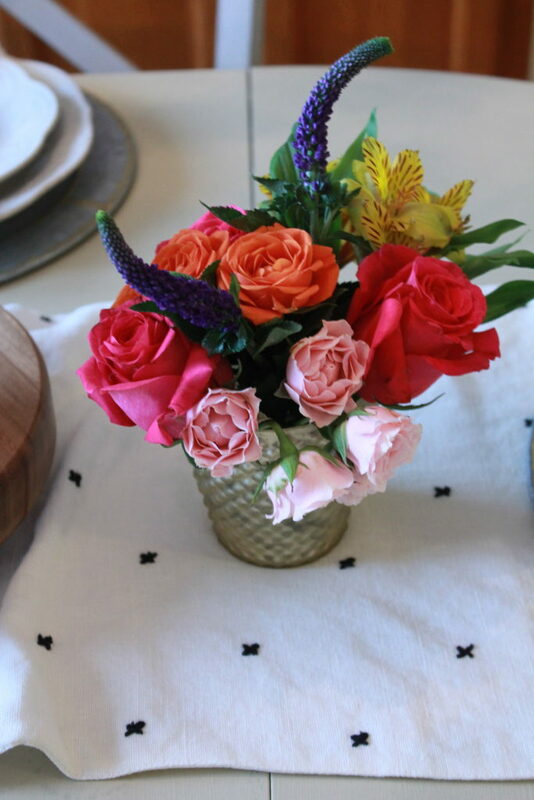 The florals were just so vivid and lively with the pink, orange, yellow, and purple colors. 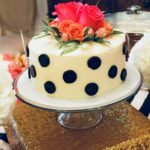 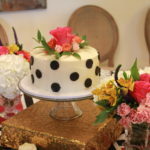 DunkBakes provided an almond cake decorated in Kate Spade fashion with black polka dots on white butter cream frosting. 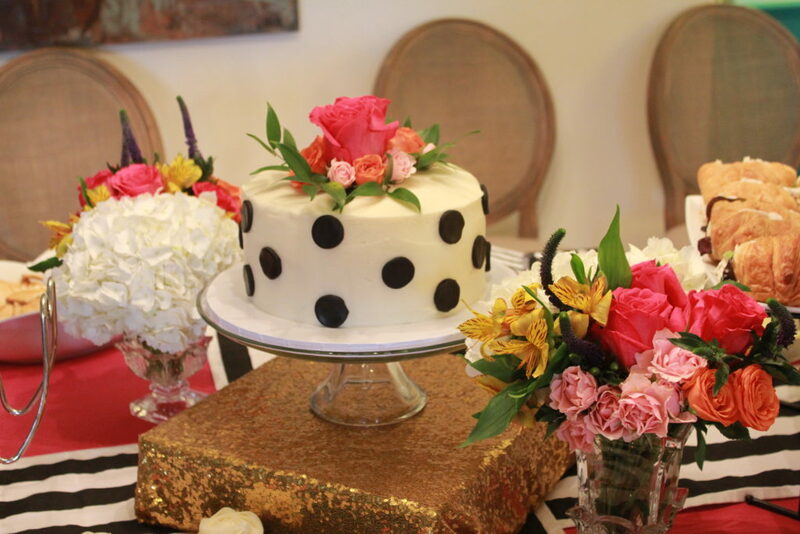 The cake was topped with brilliant-colored flowers, and was too cute to not be the centerpiece! 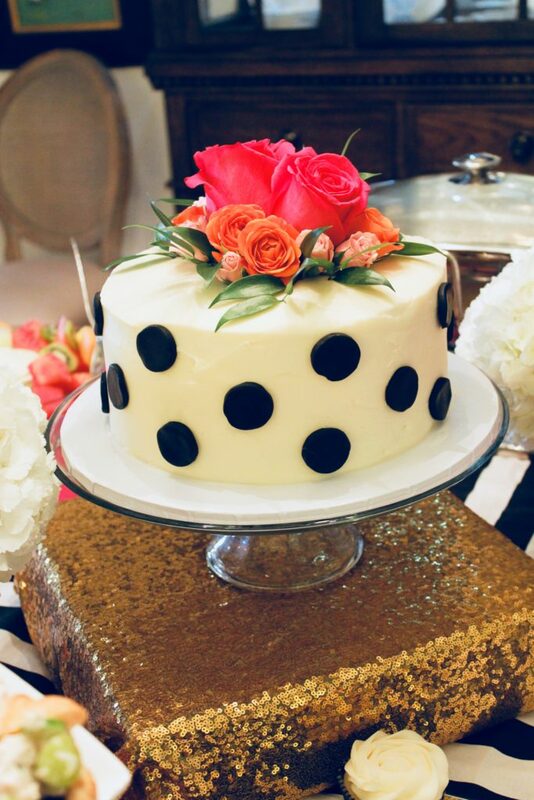 Placing the cake and cake stand on a gold sequin box gave it both height and attention. 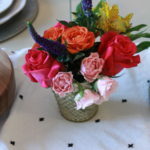 ← Welcome to the Jungle, Baby!